Caught your breath after two months of non-stop Gasparilla Season fun? Good. It&apos;s time to dive into April. 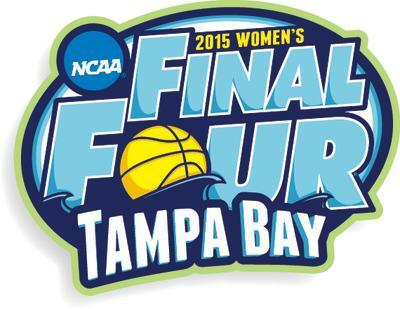 Tampa Bay hosts the national championship of women&apos;s college basketball as part of a four-day extravaganza that will make hoops the region&apos;s new favorite sport. Buy your tickets for the semi-finals or the final game at Amalie Arena. Or bring the family out for any of the sports clinics, 4Kay 5k race, and other events on the agenda for the weekend. Generations of Italian immigrants, many of them from Sicily, helped make Tampa Bay one of the most diverse communities in Florida. Join them as they celebrate their history and culture during the annual festival in the streets of historic Ybor City. It&apos;s more than spaghetti and pizza. Tampa Bay&apos;s Straz Center for the Performing Arts hosts its 30th Best of Tampa Bay festival showcasing the region&apos;s top food, craft brews and music. Pick up your tickets for the day-long party along the Straz&apos;s section of the Tampa Riverwalk. Even a Florida winter can be chilly if your a manatee. But now that winter has given way to spring, Florida&apos;s state marine mammals will leave Tampa Bay&apos;s inland springs and creeks and return to the balmy climes of the Gulf of Mexico. 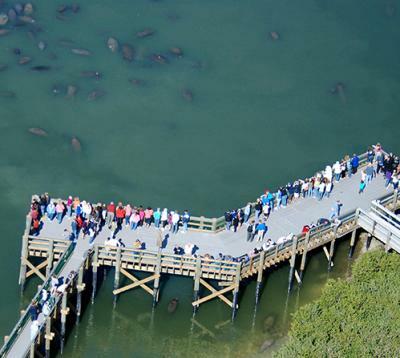 This will be your last chance until the fall to see manatees gathered at TECO&apos;s Big Bend power plant in Apollo Beach. It&apos;s free and an easy ride south of downtown. Five decades later, they&apos;re still talking about their generation. 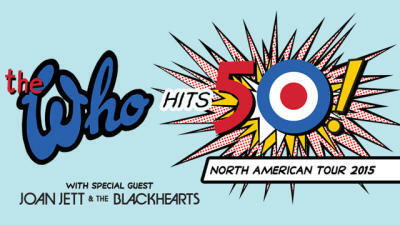 The Who kick off the North American leg of their 50th anniversary tour -- "The Who Hits 50!" -- at Tampa Bay&apos;s Amalie Arena. Pete, Roger and the rest of the band will play take the audience on a guided tour of their decades in rock, including tunes from "Tommy" and "Quadrophenia." They&apos;ll be joined in their tour by that self-proclaimed lover of rock-n-roll Joan Jett. The Straz Center for the Performing Arts transports you to Russia and the tiny Jewish schtetl of Anatevka during the time of the Tsar. There, poor dairyman Tevye and the rest of his village will try to teach his five daughters the value of Tradition! in a time of change. From your TV set to the stage at the Straz Center for the Performing Arts, Jamie Hyneman and Adam Savage bring their penchant for puncturing prevarications to Tampa Bay for an evening. Come see what they’ve got in store for their poor crash-test dummies (and you)! Morsani Hall might never be the same. 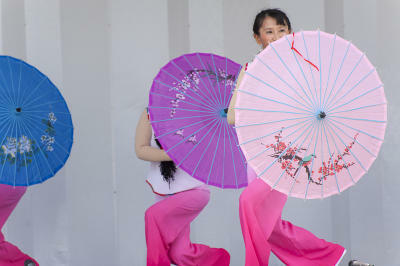 Celebrate the diversity and beauty of Asian cultures during Asia Fest at Cotanchobee Fort Brooke Park on Tampa Bay’s waterfront. 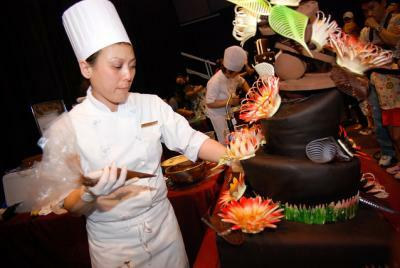 Sample food, fashion and dance at the festival, along with the annual dragon boat races. This year’s festival coincides with Zoominations: A Chinese Lantern Festival running through the end of May at Tampa’s Lowry Park Zoo. Tampa Bay’s glittering waterfront hosts a day-long series of races between dragon boat teams from across the world. The rules are simple: get your human-powered dragon boat from one end of Garrison Channel to the other the fastest. The key to success is coordination among the 22 crew members and sheer strength of will. Which dragon boat will win this year? Come out to Cotanchobee Fort Brooke Park and find out! Celebrate Tampa Bay&apos;s legacy as the one-time Cigar Capital of the World with a visit to Ybor Aficionado Days. Stroll Ybor&apos;s streets and sample the offerings of its restaurants and see the city&apos;s remain cigar rollers practice their craft by hand. 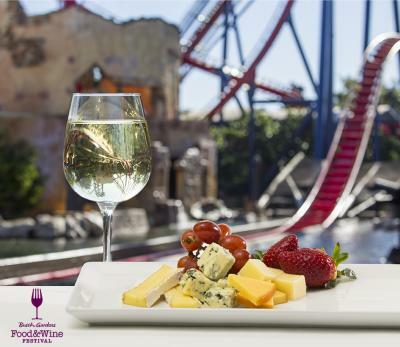 Busch Gardens Tampa continues its food and wine festival on weekends through April. The festival is included in your park pass, but you&apos;ll have to pay for samples of food and drinks spread throughout the park. The concert line-up includes KC & The Sunshine Band, Josh Turner, and Daughtry. The Tampa Museum of Art hosts the traveling showcase offering some classic works by the premier painter of Americana. 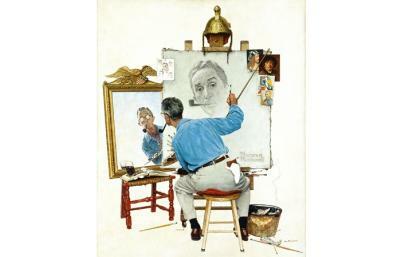 "Saturday Evening Post" covers made Norman Rockwell famous, but his Great Depression-era Four Freedoms paintings make him an American icon. See them for yourself. 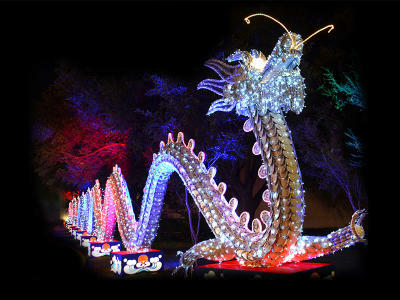 Celebrate the Year of the Goat with a Sechuan-style Chinese Lantern Festival at Tampa’s Lowry Park Zoo. Zoominations fills the zoo’s plazas and pathways with lighted sculptures hand-crafted by an army of artisans directly from Sechuan, the home of lantern festivals for 2,000 years. Visitors to the evening show can walk among dragons, elephants, dinosaurs, and other beasts captured in steel, silk and light. A replica of the Beijing Temple of Heaven is breath-taking, as is the Porcelain Pagoda, towering sculptures made of tea cups, saucers and spoons. Buy a separate ticket for the show or a combo ticket if you want to spend the daylight hours at the zoo.